Born: Born and raised in Arroyo Grande, 3rd generation native. Education/Background: AA Grad of Allen Hancock College, D.A. Program. Graduate of Arroyo Grande High School. Experience: 45 years of Dental Front Office and Back Office in General Dentistry, Endodontics and Prosthodontics. "Prosthodontics was new to me and I've learned and grown so much in this specialty." How long at Dr. Lonsbrough's? : Over 19 years of dental. I was lucky enough to be a part of his lovely family and watch Dr. Lonsbrough's children grow up. Hobbies/Family: Camping in Lake Tahoe, Playing hand bells at church, going to the gym, and having BBQ's with the family, walks on the beach with our Jack Russell, Bandi. 34 years of marriage and one beautiful daughter. Karen is our Front Office Manager. Born and raised in Arroyo Grande, she is a third generation Central Coast Native. Karen graduated from Arroyo Grande High School, and then went on to earn her Associate of Arts at Allen Hancock College in the Dental Assisting Program. Karen has 42 years of Dental Front and Back Office experience in General Dentistry, Endodontics and Prosthodontics. She has been with Dr. Lonsbrough’s office for 17 years and has learned and grown so much in this specialty. 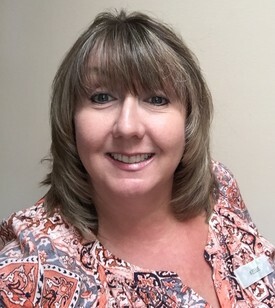 When not at the office Karen enjoys Playing hand bells at church, camping in Lake Tahoe, BBQ's with her family, and walking on the beach with her husband of 34 years. Karen has one beautiful daughter and has recently welcomed a son-in-law to the family. This year I was blessed to have our first granddaughter, Olivia join our family. Education/Background: Loara High School, Anaheim, CA. Southern California Medical and Dental Careers. Experience: Dr. Sheets and Paquette Dental Practice - 23 years. Prosthodontic Practice in Newport Beach, CA. Hobbies/Family: Cycling, racing, outrigger paddler, hiking, Certified Personal Trainer, 9 years in Atascadero and San Luis Obispo. Married 30 years, children are 2 cats! Motto: Moved to Paso Robles 9 years ago to live in a less congested environment and be surrounded by beautiful country to ride my bike, and to be near family. 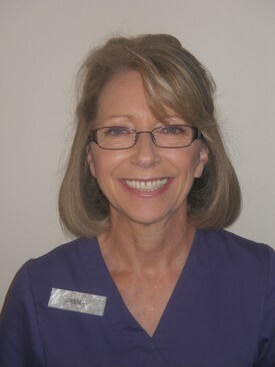 Brenda is our lead Registered Dental Assistant and has been with our office for over 9 years. Brenda was born in Delano, CA and raised in Orange County. She graduated from Loara High School and earned her RDA license from Southern California Medical and Dental Careers. 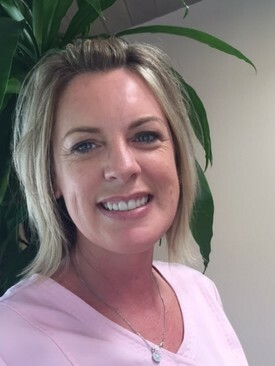 Brenda has 30 years of experience in Prosthodontic and General Dentistry. She relocated to the Central Coast 9 years ago with her husband of 35 years, and their 2 cats. She loves living in a less congested environment and being surrounded by our beautiful countryside. Brenda is also a Certified Personal Trainer and spends her free time cycling, racing, hiking, and outrigger paddling. Experience: 30 years in Dentistry front and back office. friend for 30 years. Blessed to have two son’s, a daughter in law, and two granddaughters. Kellie is a Front office Assistant that has recently joined our team. She is from Selma, California. Her Dental Assisting education is from Federico Business College. She has been in Dentistry over 30 years in both front and back office. She enjoys time with family and friends. 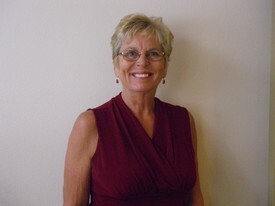 Her hobbies are Traveling, camping and family time, and being a grandmother. She recently relocated to this beautiful area of the Central Coast. Education/Background: Hi-tech Institute, Sacramento, Ca., US Army. How long at Dr. Lonsbrough’s office: a 2 year member at Dr. Lonsbrough’s office. Hobbies/Family: Reading, walking, my dog, Bailey. Spending time with daughter Shelby. Bailey. She also enjoys shopping and playing poker.